Great track from Toronto duo Moon King! Tell Me is from the Brittsommar album The Machine Stops due out on Lucky Duck Music Spring 2013. 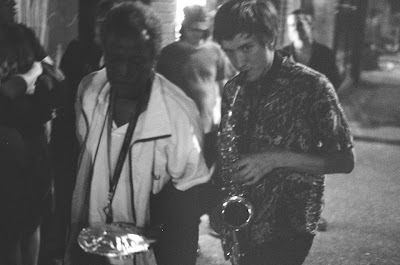 Off 2012's Enterprising Sidewalks on Slumberland Records. Off El Perro Del Mar's fourth LP Pale Fire. 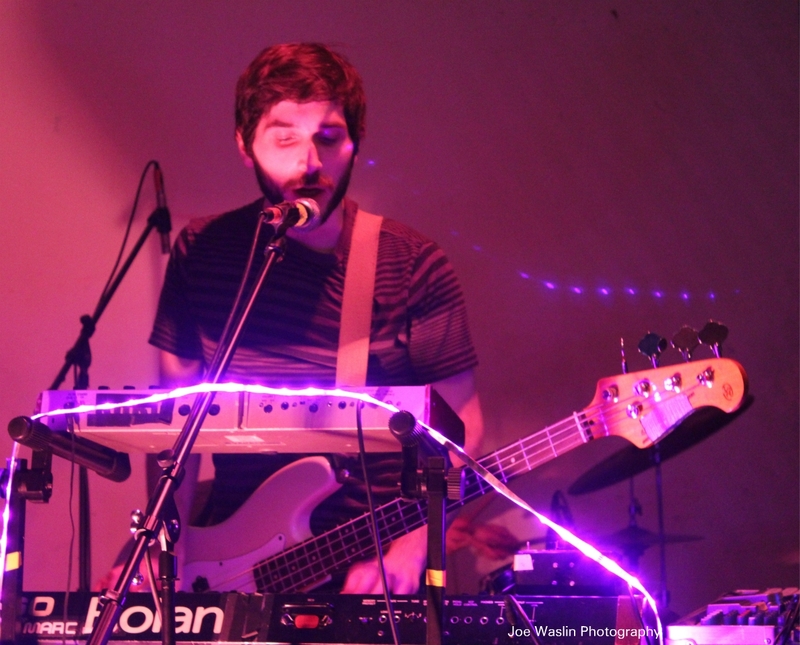 Patrick Stickles of Titus Andronicus Performs Free Energy's "Hey Tonight"
Free Energy's album Love Sign is out now. Check out Patrick Stickles great cover of "Hey Tonight." From the album Miracle Temple, out now on Merge Records. 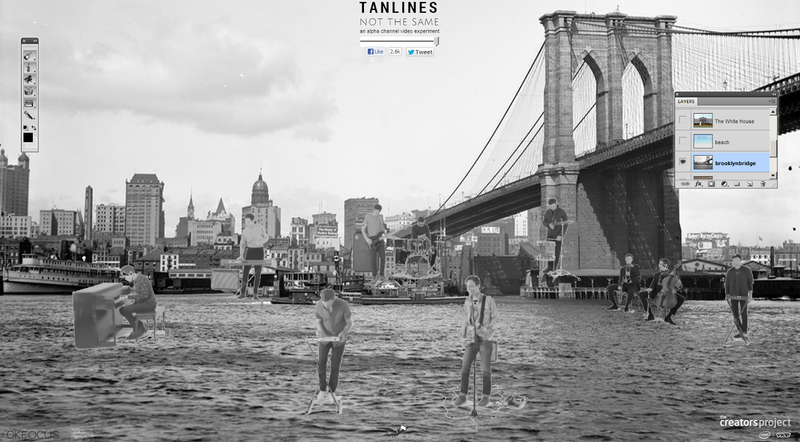 Saturday Looks Good To Me announces new album One Kiss Ends It All on Polyvinyl due out May 21, 2013. Take a listen to track Invisible Friend. Stream Krista (James Pants + Vex Ruffin) "Space Tom Test"
James Pants and Vex Ruffin team up to bring you Krista! 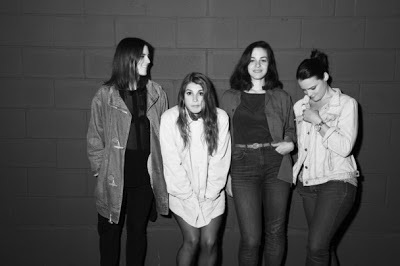 Look for their Space Tom Test 7" on Stones Throw Records! "Crystallized" is taken from Parisian Melody Prochet's eponymous debut album, released late last year on Fat Possum / Weird World. Recorded with Tame Impala's Kevin Parker in Perth in the Summer of 2012. From Beta Love out now on Barsuk! ”Slaughter’s Daughter” is the title track to the upcoming Tiger Bell EP that will be released March 18th digitally and on white 10" vinyl! Preview Best Coast's Record Day 7" Track "Fear of My Identity"
Listen to new Best Coast track "Fear Of My Identity" - recorded for Clarks Originals and Record Store Day 2013. Yet another preview track from the upcoming Ghost on Ghost album! New album Ride Your Heart is due out April 2nd on Dead Oceans! Yesterday, Noisey scooped us all with the premiere of "Control." Scanners terrific Mexico EP is out 3/5 on Dim Mak. From the upcoming album These Factory Days (Southern Records March 2013). Download the entire new album HOME from Mike Mains and the Branches for free! Oceans With No End LP due out this Spring on Deathwish. Stockholm outfit Dandan started out in the spring of 2012, on initiative of singer, songwriter and guitarist Daniel Nilsson, who began to record an EP together with drummer Max Anderhell and bass player Patrik Engström. The first single from the SATAN EP, "Men of Drugs and Oscar Wilde", is out on February 27th! Take a listen or feel free to download the track! Stream Youth Lagoon's Wondrous Bughouse In Full Thanks to NPR! Thanks to NPR, you can hear Youth Lagoon's Wondrous Bughouse in its entirety! Album is out March 5th on Fat Possum. LP Yr Not Alone is out now. 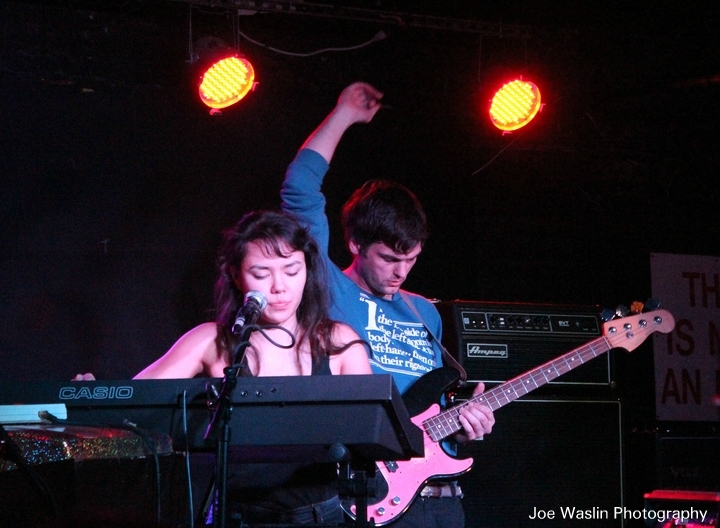 Look for Cat Martino on tour with Indians and Night Beds! The Leisure Society's new album Alone Aboard The Ark is due out April 16, 2013 via Full Time Hobby. Stream or download track "The Sober Scent of Paper." The Strangers 7″ is out 3/22 via Polyvinyl. Featured on the limited edition 'Offspring Are Blank' white label 7", pressed for the band's January 2013 Carnegie Hall show. Only 250 hand numbered copies were made. 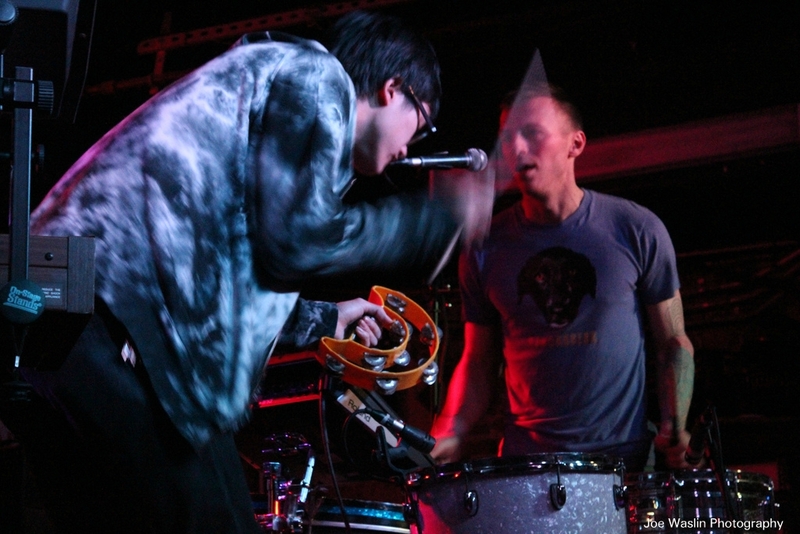 Debut album 10x due out April 23 on Brad Oberhofer's new label, Local Singles. On March 5th Javelin will be releasing their second full length album on Luaka Bop, called Hi Beams. Check out the track Light Out. March 1st, Peruvian indie rockers Los ZappinG will release their new single Russia/B-side Hooray, Hooray. Check out the video for Russia! From the comp Reason To Believe – The Songs of Tim Hardin out February 26th on Full Time Hobby. New album Saltwater out May 28, 2013 on Dead Oceans. After last year's Explore EP on Carpark Records, GRMLN returns with a new song called "Night Racer". The video for the song, directed by Tommy Sugimoto, features Chase Ellison as a racer driving through GRMLN's home state of California. More from Yoodoo Park (a.k.a. GRMLN) to come this summer! "Wait" from DIIV's debut album Oshin, now on Captured Tracks. Chasing the Light 12" is out now on Sacred Bones Records. Shellshag Forever is out April 16th on Don Giovanni Records. So, not gonna lie...I saw this thanks to Stereogum. 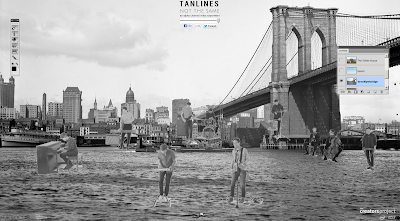 Tanlines teamed up with The Creators Project to offer and interactive video for "Not the Same." You can control the setting, the instrumentation, and lots of other fun stuff. Give it a try! Stream Shout Out Louds New Album "Optica" Thanks To NPR! Optica is due out 2.27 on Merge Records! Album Nightmare Ending is due out May 14, 2013. Bat For Lashes doesn't really need our help getting the word out. But, this video is so entertaining, we couldn't help but post it. Monsters! Rawr! The first single from Born Ruffians' LP BIRTHMARKS out 4/16. 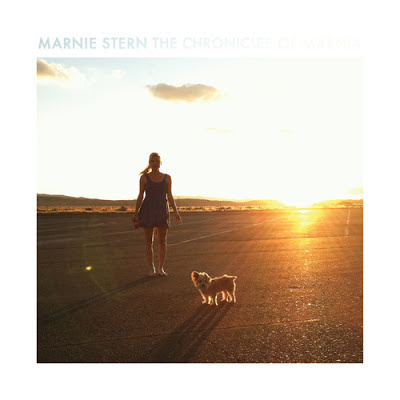 From the album Ultramarine out April 23rd, 2013, single available digitally March 5th, 2013. Eat Skull - "How Do I Know When to Say Goodnight" Video! III out today on Woodsist. From the album Songs For Imaginative People. Heaven, How Long is taken from the Hostel 12" EP, forthcoming debut release from both East India Youth and The Quietus Phonographic Corporation. The Hostel EP is released in March 2013. Their new album Bankrupt! is out April 23 in the U.S. and April 22 in the UK via Loyaute/Glassnote. Ignore the cheesey script on the video. Belle & Sebastian - If You're Feeling Sinister Pitchfork Documentary! If you have an hour or so to kill, check out Pitchfork's great documentary/ oral history of Belle and Sebastian's seminal record If You're Feeling Sinister. Vivian Girls, Widowspeak, Eternal Summers & Heliotropes @ Music Hall of Williamsburg Live Show Review! 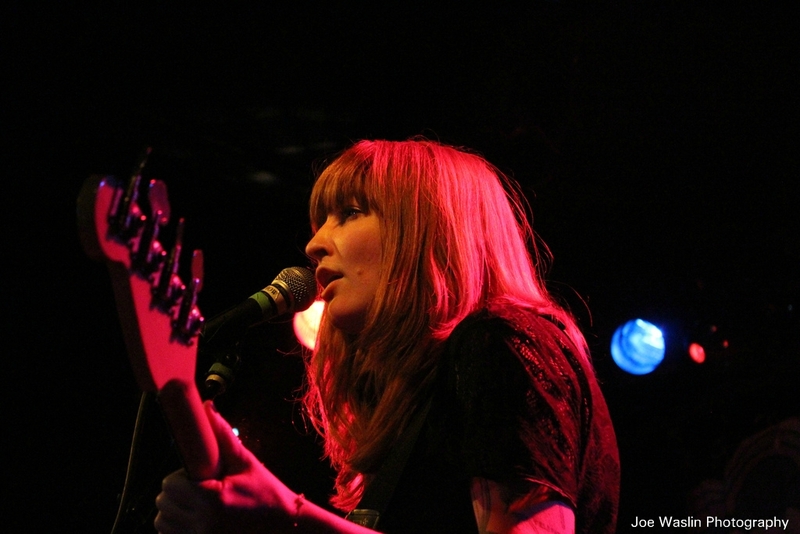 On Friday, Music Hall of Williamsburg hosted a stellar set of indie rock with legendary local icons Vivian Girls (their first NY show since 2011!) and Widowspeak, along with the up-and-coming Brooklyn bands Eternal Summers and Heliotropes. Everybody's favorite shoe—that would be Converse of course—sponsored the free-with-RSVP event. I'm not exactly sure if it was required of performers to don the shoes, but it was probably mere coincidence that I caught Vivian Girls bassist Katy Goodman wearing a pair of ankle-high all-black converse. Sweet. I'm sure she was not the only one wearing them too, but I've always felt that winter is not the best time to wear my pair. But I digress. It was a night of memorable performances, start to finish, although I missed most of the Heliotropes so I guess I can't really say that, but I'm sure they were great too! I've been a fan of them since discovering their cover of Roky Erickson's "I Walked with a Zombie." Oh well. 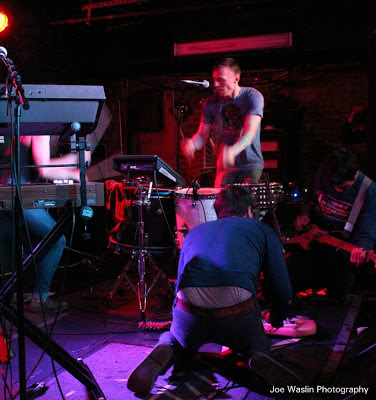 Red Bull is apparently curating a new monthly showcase on trending local bands, and Heliotropes will be playing the inaugural event at the Bowery Electric this Tuesday for only $3—count me in. For the performances I did see in full, all were pleasantly excellent and unique, I guess a little paradoxically, like every band in Brooklyn these days. 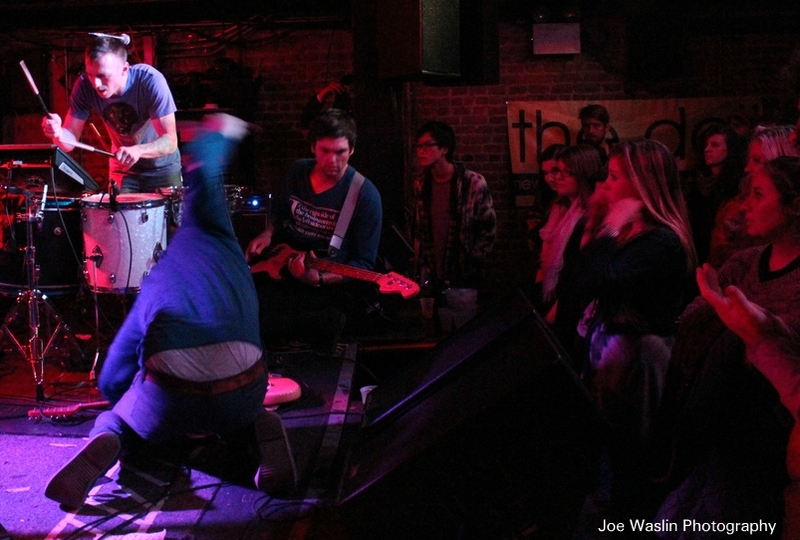 And that's a compliment to the fact that I am fortunate to see so many great bands in one music scene. But because there's so much greatness going on at once, I was actually not too familiar with most of the acts, so I saw this show as an opportunity to see bands I have heard good things about across the blogosphere. 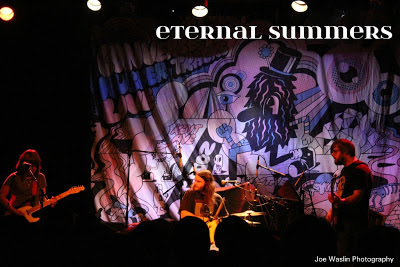 In fact it was this very blog that named "You Kill" by Eternal Summers its favorite song of 2012. 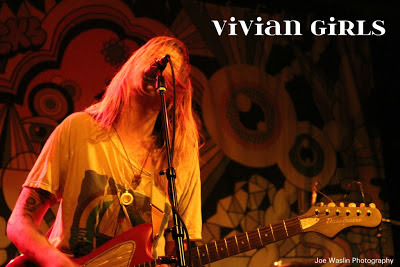 And I did know a lot of about Vivian Girls from a peripheral standpoint, enjoying associated acts like The Babies and the work of former bandmates Frankie Rose and Ali Koehler, who drummed for a bit with Best Coast. I won't bore you with my vapid observations, but here were two noteworthy things: two of the bands were entirely female, and all leading vocalists were women. I really hope that we're at a time in music where no one will think twice about that, because this wasn't a showcase of great female musicians. This was awesome rock, period. 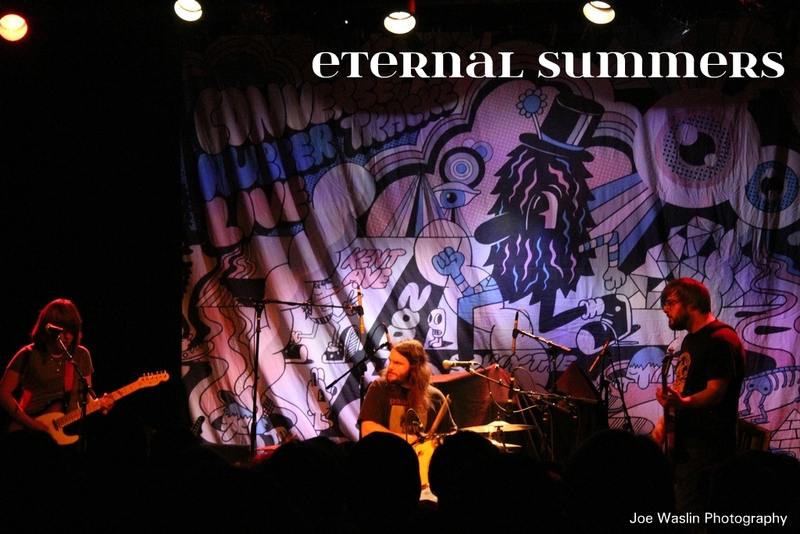 The second observation is that the drummer for Eternal Summers looks like he could play Sabretooth in an X-Men movie, and I'm very jealous about that. 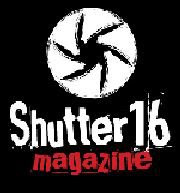 Check out my photos if you don't believe me. 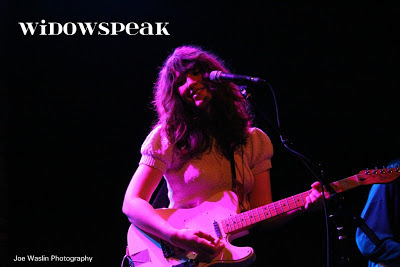 And don't forget to check out my photos of Vivian Girls and WIDOWSPEAK too! From the forthcoming LP CYCLOPS REAP on Castleface on April 9, 2013. Off the Lonesome Dreams LP due out in March on PIAS. From their new LP How Far Away out May 2013 on Woodsist Records. The split 7" w/ Nü Sensae is limited to 750 copies (250 on white vinyl, 500 on black) with a free download code and is also available digitally worldwide. 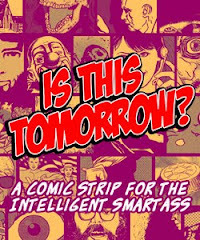 Available March 19th, 2013. The Chronicles of Marnia is out March 19 via Kill Rock Stars. Click the link to listen to the latest preview track "Nothing Is Easy." "Gravediggress", from new album Tales of a Grass Widow, out May 27th in Europe via City Slang and May 28th in North America. Total Warr’s Loisy EP is out now! You can revisit our 7 Silly Questions interview with them HERE! Stereogum got the jump on all of us with the video premiere. From their debut self titled LP out March 5, 2013 on Woodsist Records. B-side to the Painted Palms Carousel 7" out on Polyvinyl! Look for them on tour with Ruby Suns right now! Album Honeys is out now on Sub Pop! "Slyd" from THR!! !ER (out April 29/30). Aesop Rock and Kimya Dawson team up to bring you The Uncluded! Courtesy of Pitchfork.tv. More impossibly great music from the Swedes. Check out Nicole Sabouné. "Lost in Light Rotation" b/w "Bad Connection" is available as a limited edition 7" single, out now on Fortuna POP! (UK/EU) and Magic Marker Records (USA). People Get Ready live at the Mercury Lounge in NY, February 8, 2013. Photos by Joe Waslin. Here are some of our favorites! To see the full set, go here! Desperate Ground is out 4/16 on Saddle Creek. Listen to The Postal Service "A Tattered Line of String"
Brand New Music from The Postal Service! "A Tattered Line of String" from The Postal Service's 4/9/13 10th Anniversary Deluxe Reissue of Give Up. Wondrous Bughouse is due out March 5th on Fat Possum! Josefina Sanner is a Stockholm, Sweden, based songwriter and musician. Over the last couple of years she’s released three solo albums. Feel free to down load her latest single "Do You Remember" for free! Great video for "What I Love" off the upcoming album Cool Cocoon. You can download this track for free HERE! Ex Cops are Denmark’s Amalie Bruun and North Carolina native Bryan Harding of Hymns. Album True Hallucinations is out now. Kishi Bashi has just announced the release of three elaborate 7" singles via Joyful Noise! Each of the three releases features a single from Kishi Bashi's acclaimed debut album 151a, as well as an unreleased orchestral cover song on Side B. The Side A singles "Manchester", "Bright Whites", and "It All Began With A Burst" are paired with re-imagined orchestral quartet covers of ELO, Talking Heads, and Beirut. 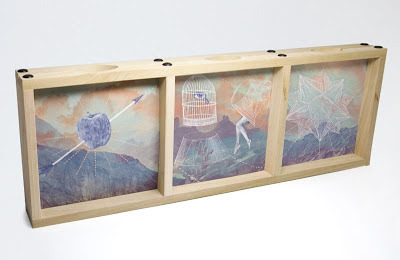 The first 500 copies are sold as a three-part box set, including all three 7"s in a custom-built wooden frame. Each Box Set is individually hand-numbered out of just 500 copies, and is personally signed by Kishi Bashi. "Rainy Saturday" from Us Alone available now on Arts & Crafts. "WIXIW" is a single from Liars' 6th Album WIXIW. Optica is due out 2/27 on Merge Records. Really wonderful imagery abounds in the Always On My Mind video from The Rest's album SEESAW. Take a listen to Tarfufi's fantastic track "Eaves" off their upcoming full-length These Factory Days out in March on Southern Records! In celebration of their upcoming North American tour, Stars are releasing a free EP, You Guys Are All Awesome. The EP features two tracks from Stars, including their current single “Hold On When You Get Love And Let Go When You Give It”, as well as an exclusive song!! Stream Darwin Deez’s New Album "Songs for Imaginative People!" Darwin Deez’s new album Songs For Imaginative People will be released on February 12 via Lucky Number. In celebration of the release and upcoming North American tour, Darwin is sharing a stream of the album. Off the upcoming VOID LP. Destruction Unit! Helsinki band Kiki Pau's third album, Pines, was released this week! 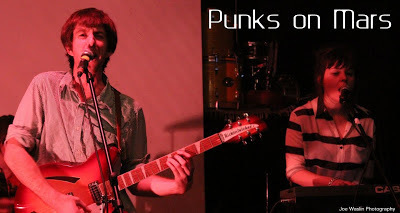 When I heard that Punks on Mars, the glam punk band I profiled in our Bands That You Should Like feature, would be performing at nearby Shea Stadium I decided to check them out for myself and see how they perform live. I wasn't wrong to liken the band to The Clash either; Sandistina played on and off throughout the night between sets. Both bands I saw were awesome in their own right, and I wish I had gotten there earlier to see the other performances as well, including a DJ set by Diiv bassist Devin Ruben Perez. The crowd thinned out by the time the last openers Dinowalrus finished playing, but I'm still glad I made the trek despite the mild blizzard that hit New York Saturday night (which in all fairness is probably why the crowd was a little small, even for this tiny loft venue). Look out for a live recording of the show on the Shea Stadium website; they record and release every performance at the venue! Great music from Brazil! Look for 3-song EP Klouds to be released February 26th on Pug Records! Companion is the new project from Brooklyn-based singer-songwriter Pepi Ginsberg. Self titled album out today! Album Kids in LA is due out May 14 on Cascine. Stream The Deer Tracks New Album "The Archer Trilogy Pt. 3" In Its Entirety! Next week The Deer Tracks will be delivering the conclusion to their LP trilogy, titled The Archer Trilogy Pt. 3. If you don't mind signing in with Facebook, the atmospheric electro-pop collection is available now through an exclusive stream via Rdio. Otherwise, take a listen to the terrific track "Lazarus" below! Mikal Cronin will release MCII, his Merge debut, on May 7 in the US and May 13 in UK/Europe. Amazing video and song from the the album The Golden Age! Unknown Mortal Orchestra - So Good At Being In Trouble Video! Terrific album II is out now on Jagjaguwar. Hundred Waters is out now on OWSLA. Look for the Boreal EP this Spring. A pretty great piece of Canadian garage that harkens back to early 70s glam! Pretty damn enjoyable! 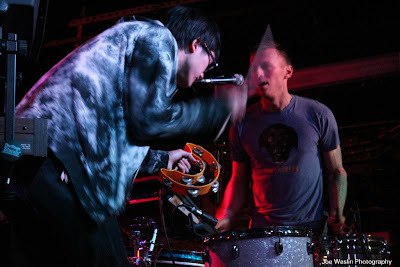 Click through to their Bandcamp page and check out the full album Prince of the Golden Horseshoe. Second Hand Rapture Out May 14th On Columbia Records. From the Strangers 7" out 3/5/13 on Polyvinyl. The second official single off Young Dreams' forthcoming debut album. Beach House - Forever Still Short Film! Almost 30 minutes of Beach House goodness! Courtesy of Pitchfork.tv. KONTROLL - A State of Emotional Imbalance MP3 Download! This is the first release from Swedish electronica act KONTROLL. Feel free to stream or download! Stream Cowboy Indian Bear - Does Anybody See You Out? New LP, Live Old, Die Young will be out April 23rd on The Record Machine, a Kansas City label also responsible for assembling the Middle of the Map Festival. 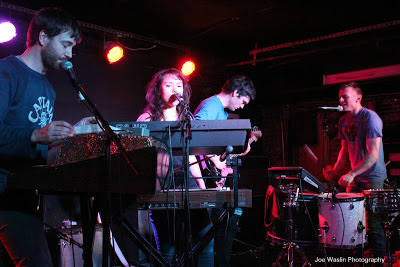 The Little Ones - Argonauts Video! 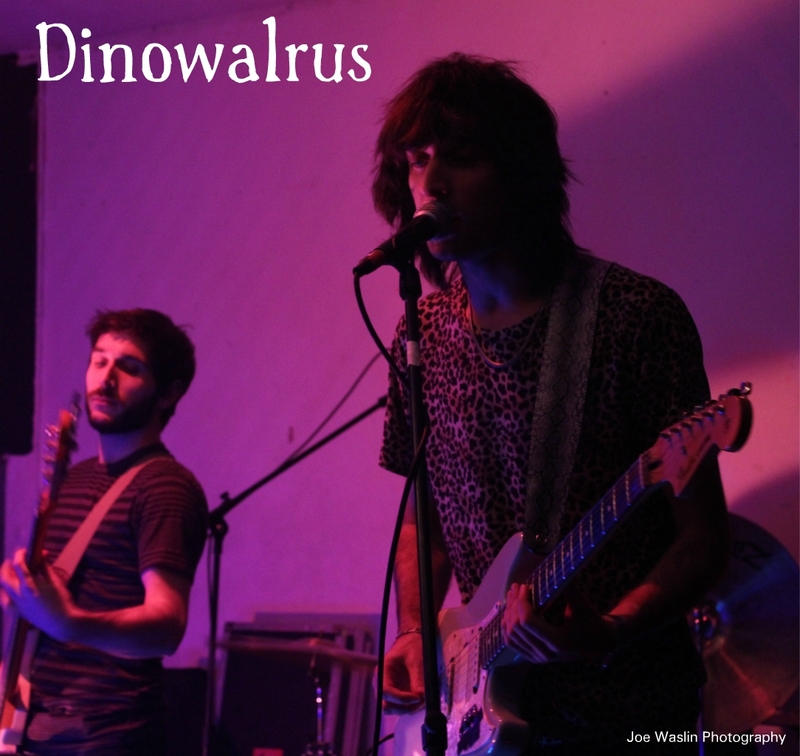 First single off their upcoming release, The Dawn Sang Along, on Branches Recording Collective. Hobo Rocket is out this spring on Modular. Your Fuzzy Friends "Valentine's Day (I Got My Heart On)" MP3 Download! Fun NC band Your Fuzzy Friends is sharing a entertaining little electropunk track about love and loss and being alone on Valentine's Day! Stream Melody's Echo Chamber "Je Me Perds de Vue"
Self titled release out now on Fat Possum. This track will be released as the B-side to the "Crystallized" digital single, out March 18 in the U.S. via Fat Possum and elsewhere via Weird World. Marika Hackman - Cannibal Video! From the album "That Iron Taste" release date 25.02.2013. Ambient is a previously unreleased track. TEEN's debut album, "In Limbo", is out now on Carpark. Gray Young "Canopy Reflected" MP3 Download! Gray Young will release new LP Bonfire on February 19, 2013. The National Rifle - Coke Beat Video! Off the album Almost Endless.